Andrew VK1NAM and I set off for Booroomba Rocks and were watching the weather as it seemed likely to rain some time during the day. But as it turned out there was a locked gate several km away from the parking area with a sign advising people to keep out of the area. 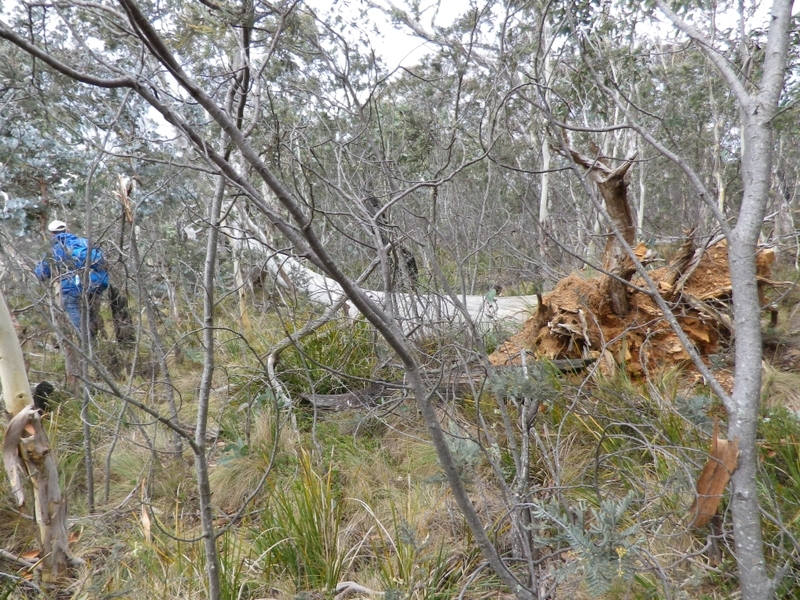 This was probably due to fallen trees, slippery rocks on the ascent or other hazards. A quick evaluation of the alternatives along Boboyan Road resulted in the choice of Boboyan Range VK1/AC-044, which Andrew VK1NAM had activated recently but I had never been to. 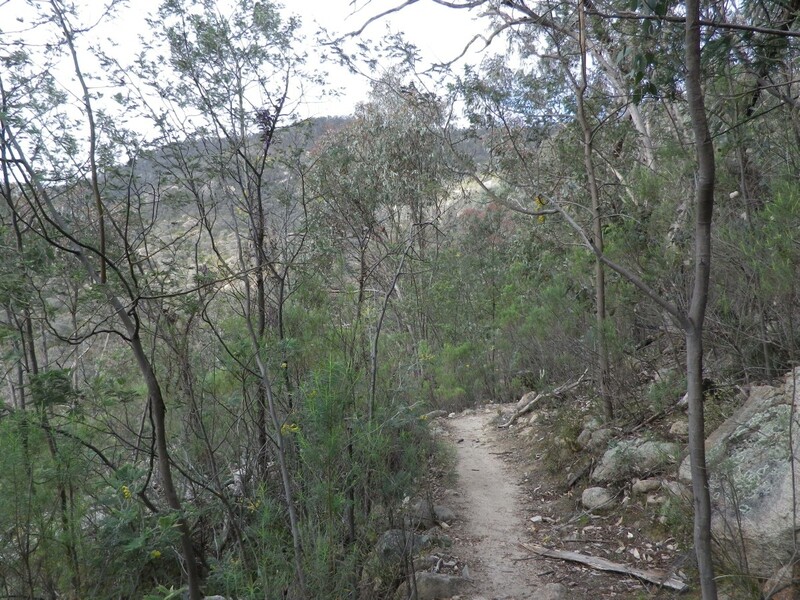 Other options were either going to be longer walks or likely to be unsuitable. 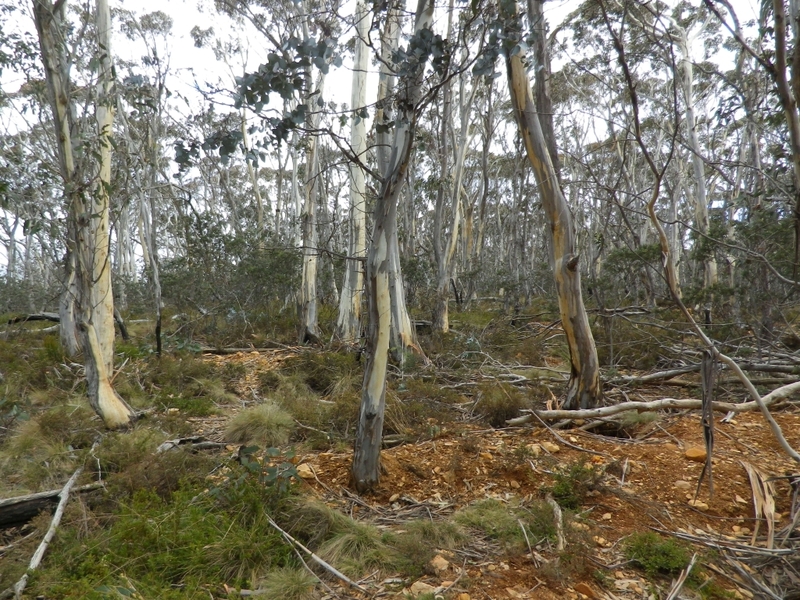 Having parked just off the road we headed up the hill finding our way around various trees and parting the undergrowth. 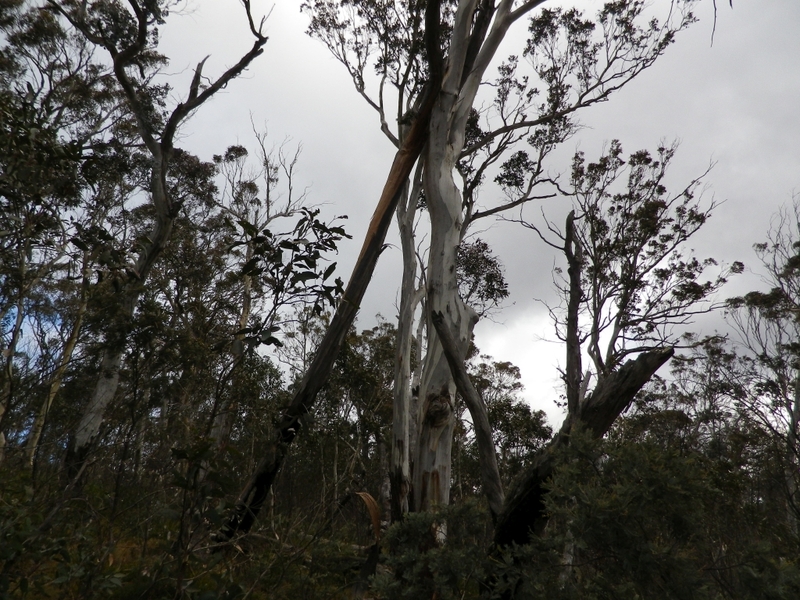 Half way up the first section of the trip was this pair of trees making a grinding noise as they moved with the wind. 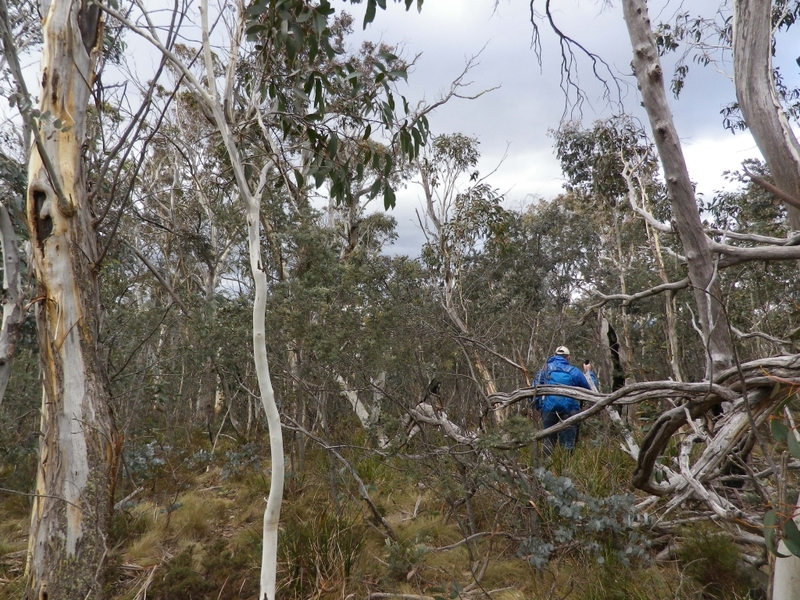 After checking our location with the GPS we were eventually high enough to be inside the Activation Zone (within 25m of the top) so we selected a small clearing with a suitable log and set up the gear. We were happy to be able to add this site to our 6m/10m tally, including a contact with WH6WI in Hawaii, who was also pleased to make a contact with us using both his home station radio (TS480HX) and with his FT817 running 5 watts. He then asked for a CW contact on 28.028 MHz which was readily done. While operating the FT817 I noticed a small visitor on one of the knobs. The weather stayed fine though the wind remained gusty. 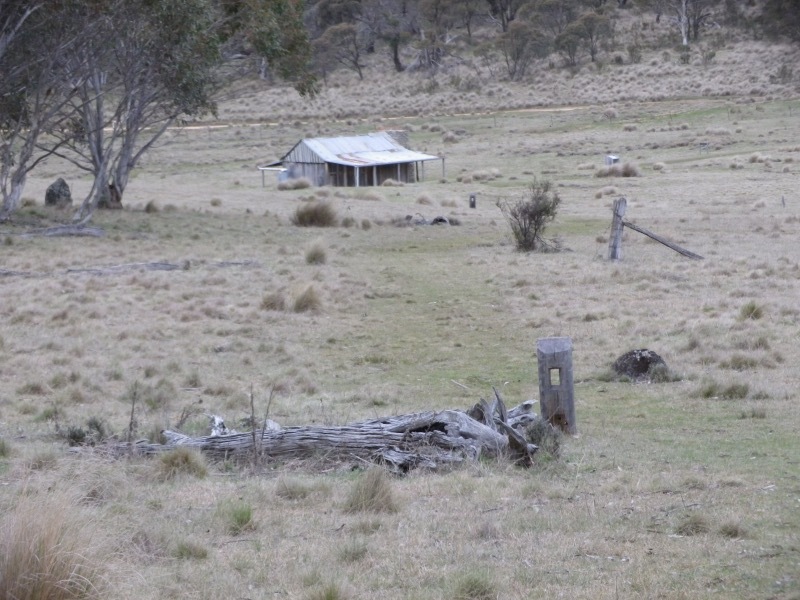 Coming around a corner on the way back to Canberra we found an eagle busily munching on some road kill. I didn’t get my camera on and focussed in time for the photo, unfortunately. By the time of the exposure the eagle had decided he didn’t like visitors, gathered the meal in his claws and took off to the west. Another successful activation. 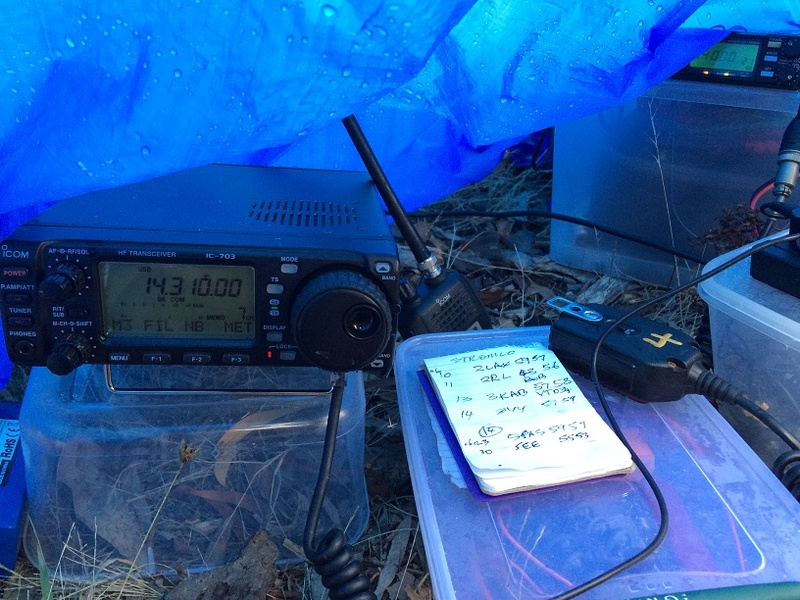 Thanks to Andrew Moseley VK1NAM for driving and providing the equipment for the activation. 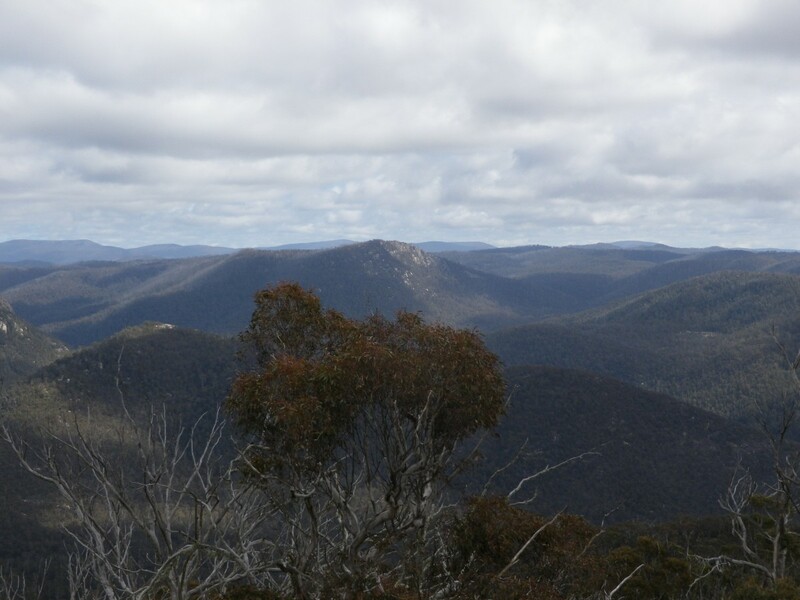 Mt Tennent is a prominent mountain at the southern end of the Tuggeranong valley in the Australian Capital Territory. 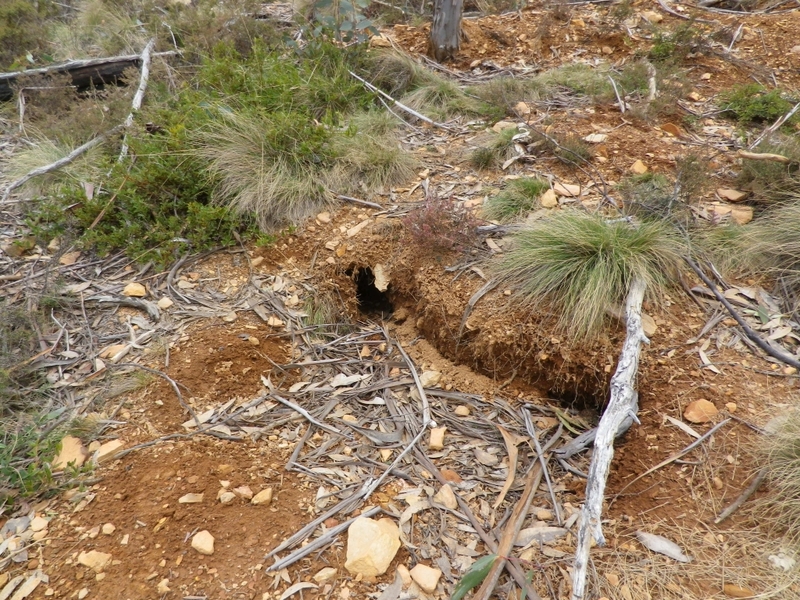 It is visible from the Barton Highway 40km away. 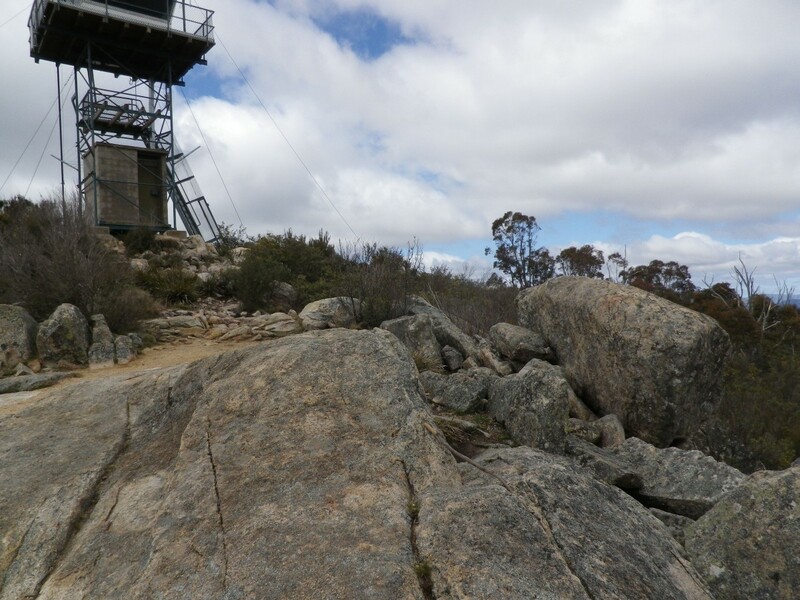 It is very visible from my office building in Tuggeranong but I had never climbed it. Its reputation was for being a tough, long walk and a steep climb in places. 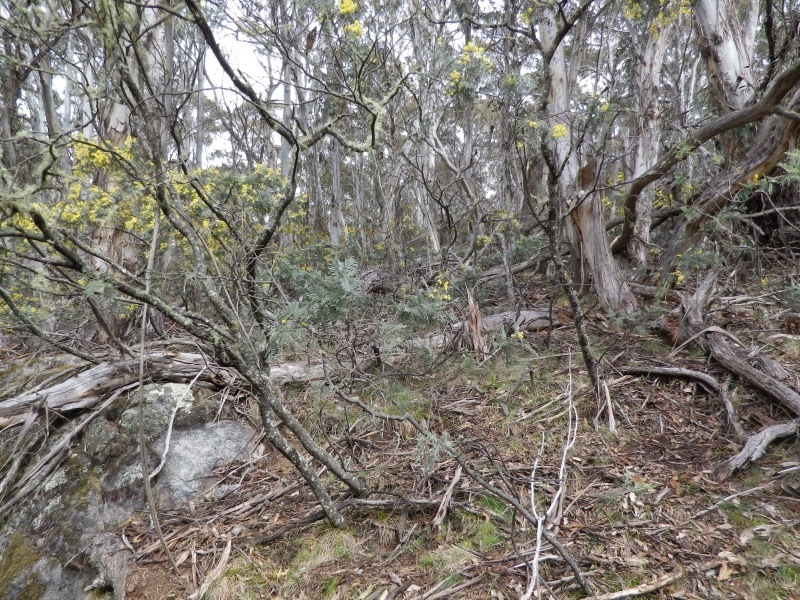 The mountain is 1384m above sea level and about 750-800m above the average level in the Tuggeranong Valley. 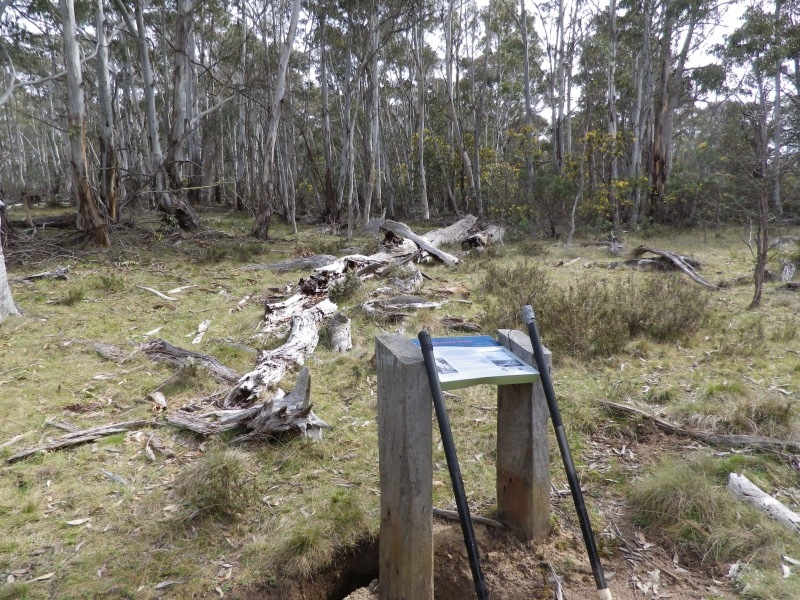 Access for bushwalkers is from the Namadgi Visitor’s Centre carpack just off the Naas road, several km south of the village of Tharwa. 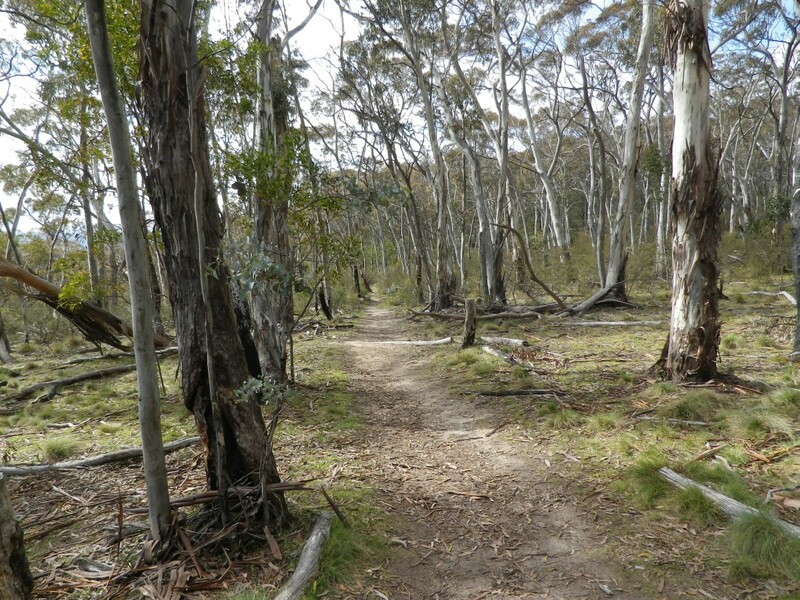 The length of the walk is 6.5-7 km each way. Andrew VK1NAM had planned this trip several weeks earlier and invited me to join him, knowing that I had not activated this summit or ever climbed this mountain. After several changes due to household plans for spring gardening work, I was able to confirm I would join him and I even did some training – several trips to the gym this week included some sessions on the stepper. Ha! 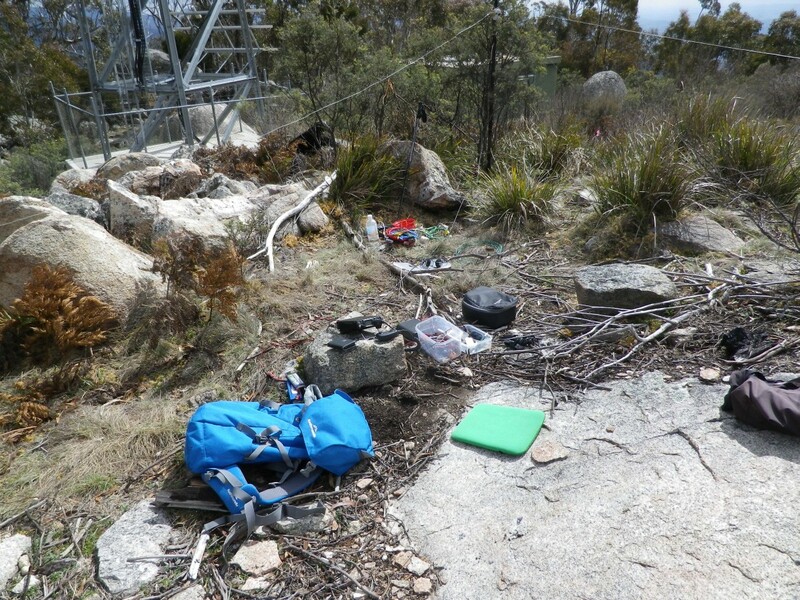 some training that was… should have just gone down to the mountain and got serious about it! 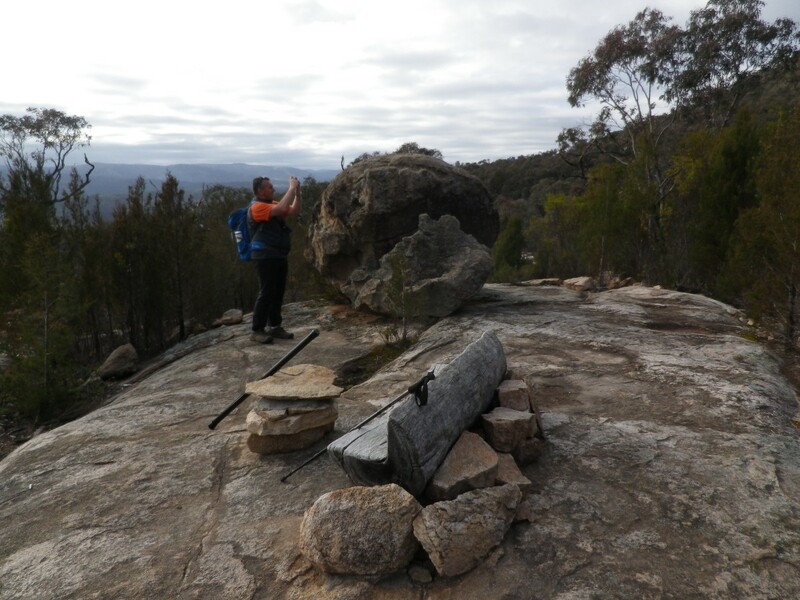 So we met at 7:15 am at the Namadgi Visitors Centre and set off across the road and onto the walking path. 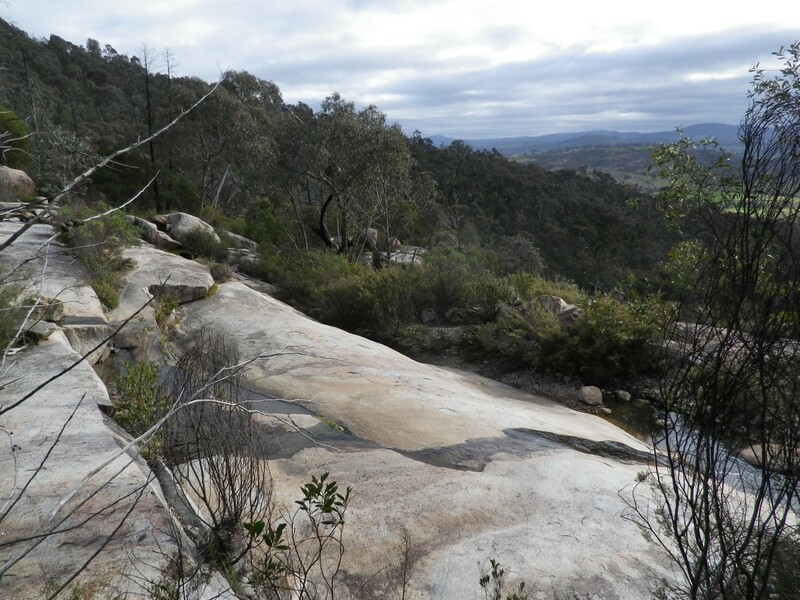 After a few mild hills along the path, several creek crossings and even one of the dreadful downhill sections (which I dislike because I know that means I have to climb some distance twice) we came to the rock stairs, which accounted for over 1km and about an hour of the climb. Andrew referred to this as Stepper 101, but afterwards I considered it was 301 or the master’s course. About the first 10 minutes may have been equivalent to what I had done on the stepper at the gym. Here are some photos of the upward trip. 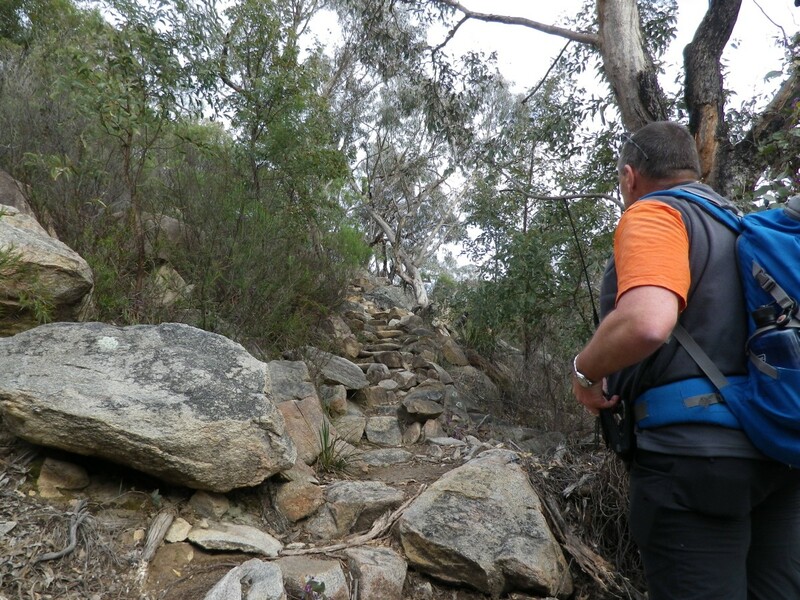 After the stair climb and some easy sections we arrived at the fire trail leading to the top of the mountain. This section was endless and steep going in parts. 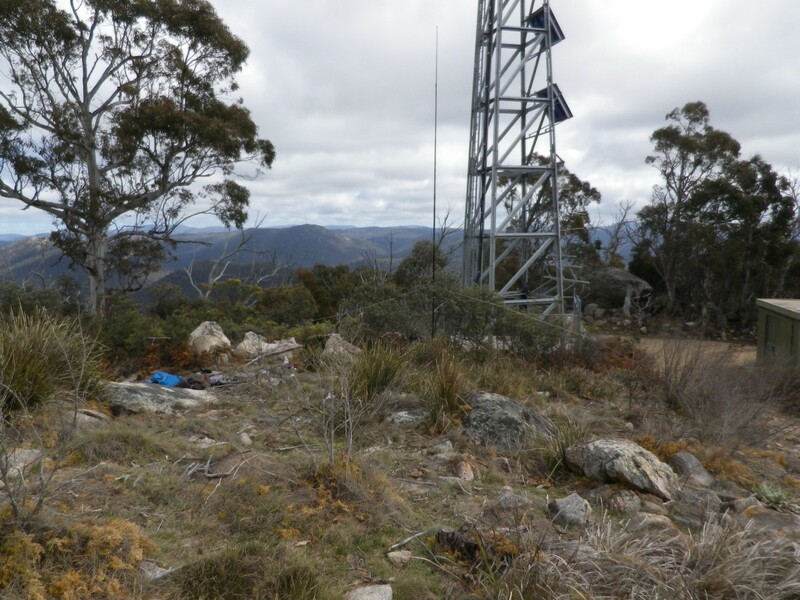 Finally we were at the summit where there are several buildings housing communications equipment for various emergency services. 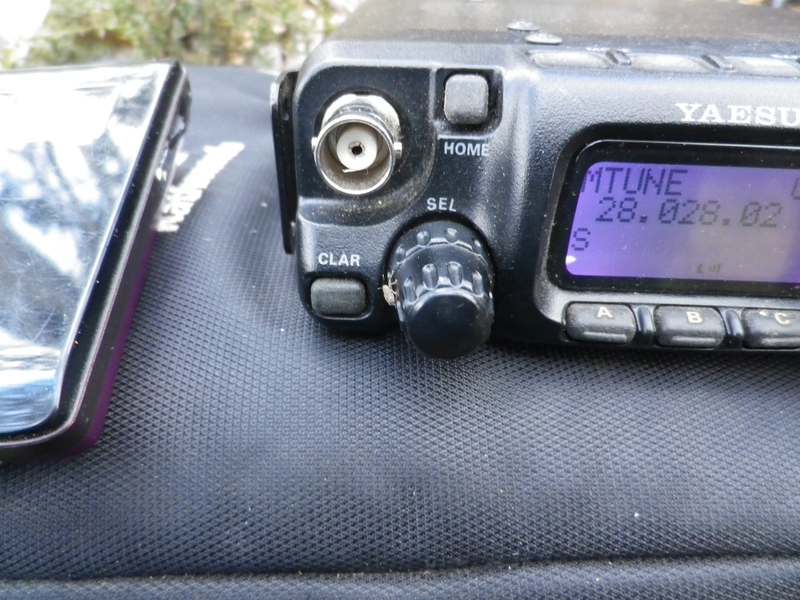 I set up the 20m vertical on its squid pole and looked at conditions on 20m using the FT817 on 5w output. 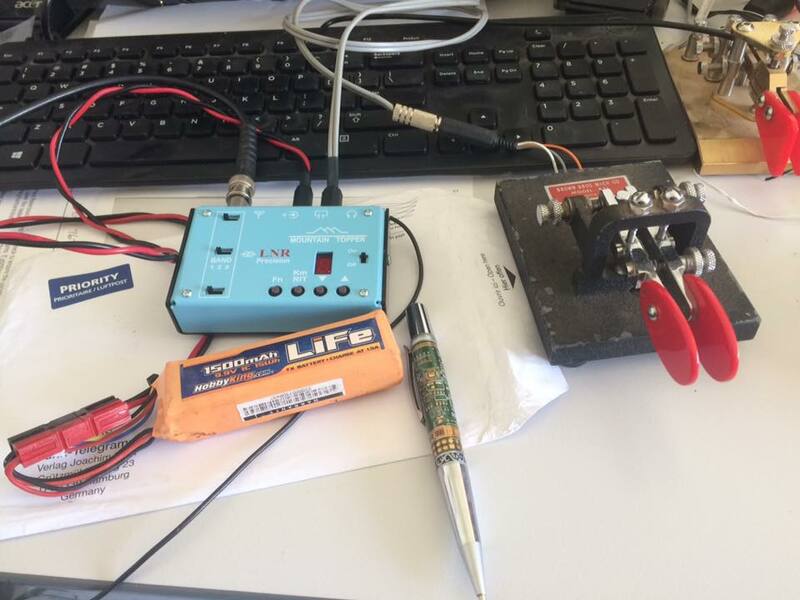 Andrew VK1NAM set up his linked dipole and wanted to try 10m dx hoping for contacts into the USA. We both found that radio conditions were unusually quiet with few long distance signals audible. 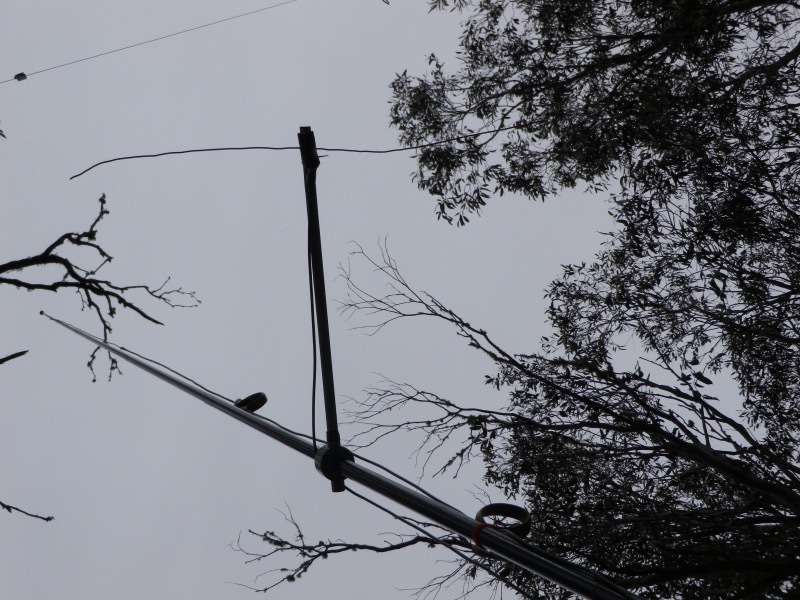 On 10m the best contact was to VK6 (Western Australia) with Anthony VK6MAC. 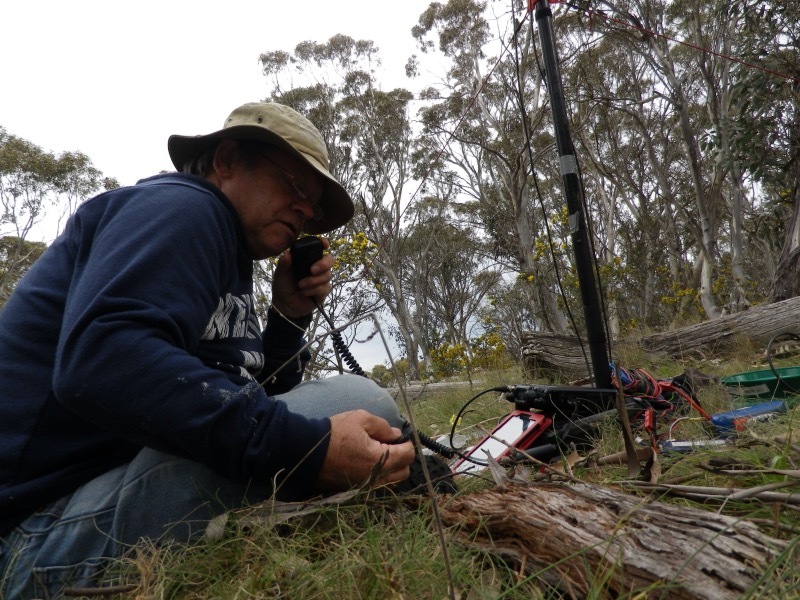 On 20m I made 5 contacts, into VK4 (Queensland), VK5 (South Australia) and VK6 (Western Australia). 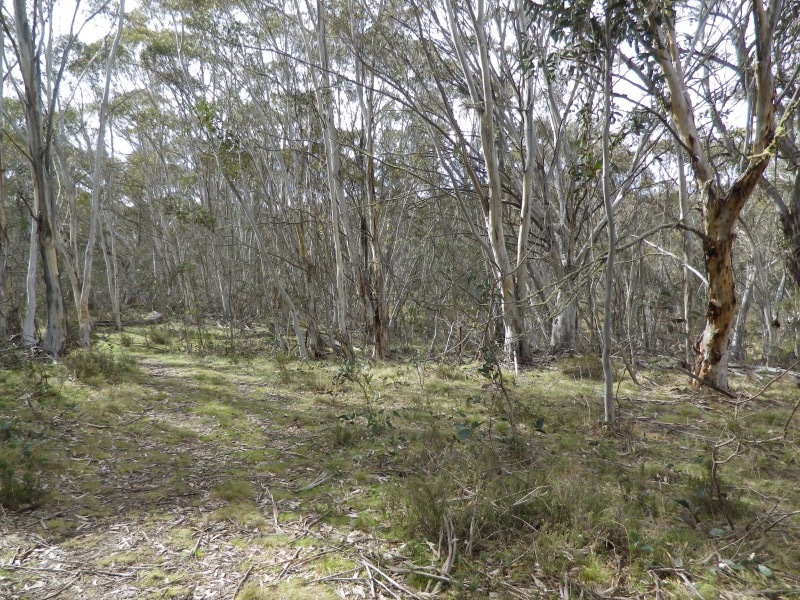 Having found 10m so quiet Andrew reconnected his 10m link and went straight to 40m where a number of “local” chasers were keen for contacts (mostly in VK2 New South Wales and VK3 Victoria). The view from the top speaks for itself. 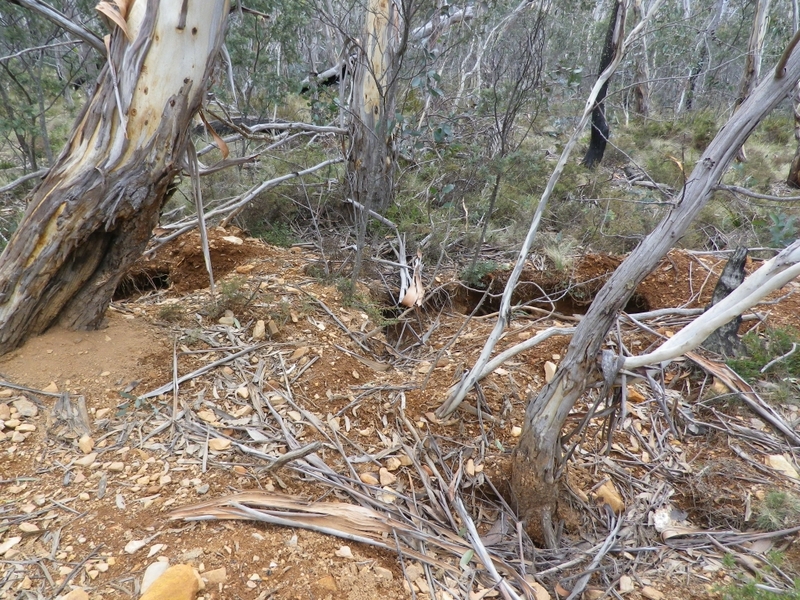 Other pics show parts of the descent. Again thanks to Andrew VK1NAM for his guidance, good humour and being willing to wait while I caught up. 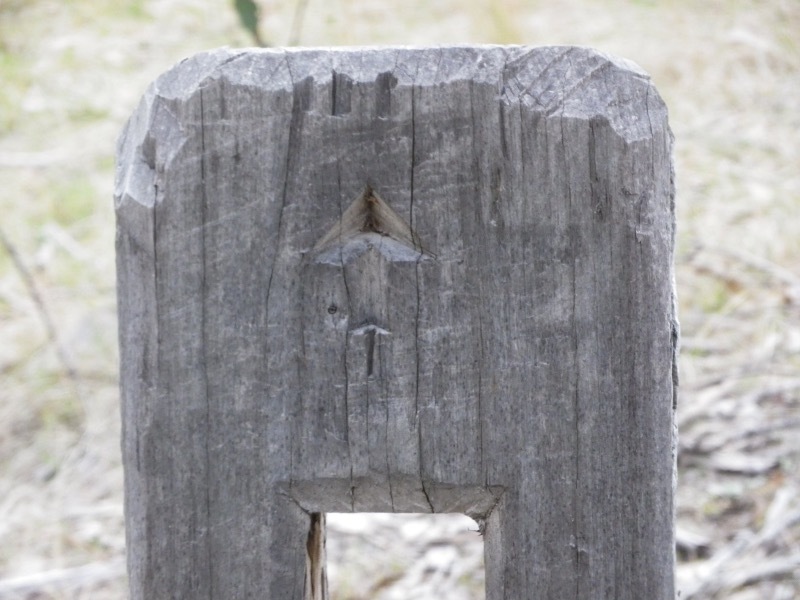 My walking/climbing pace is not quite his. 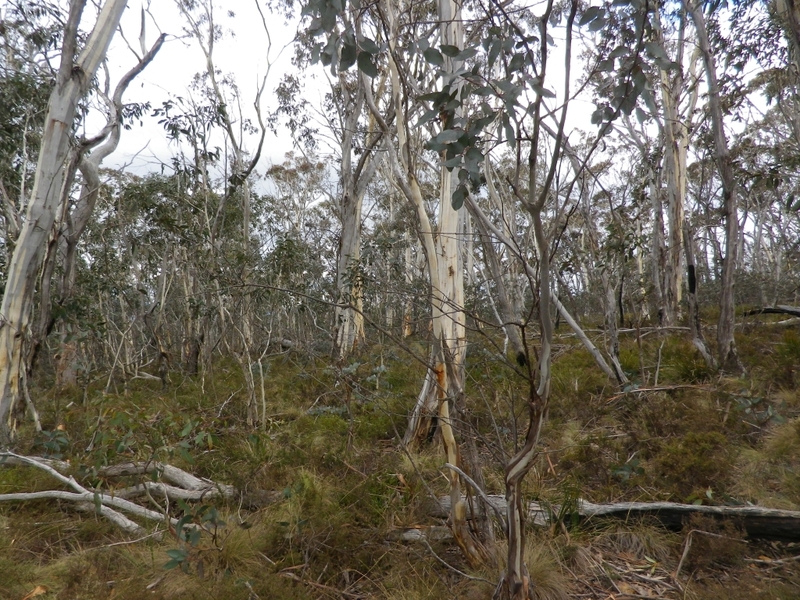 Another great day in the bush and on a summit. Timings: the upward trip took just over 3 hours and downhill took a bit less. The rock stairs can’t be rushed, for safety reasons.